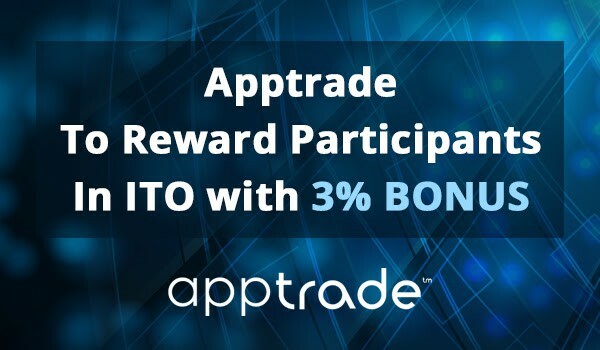 Participants in the AppTrade Initial Token Offering (ITO) will immediately receive a 3 per cent BONUS, allowing for a greater return in their outlay. Every time someone in the participants’ network orders APPX, a 3 per cent BONUS on every paid order will be dropped into the participants’ account. What is even better is that everyone that is referred will also receive a 2 per cent BONUS, just for ordering APPX. Adding to these latest incentives to invest in Apptrade, the “Kickstarter for Apps on the Blockchain”, OpenLedger ApS recently gave a $100,000 USD boost towards the ITO. The minimum fundraising goal is $1M USD with a cap of $5M USD. With a total of 8.25M APPX tokens on offer, Apptrade will back these tokens with 20 per cent of the future revenue from the Apptrade platform, and any unsold tokens will therefore be distributed proportionally to all participants. At each Stage during the ITO, there is a goal, and participants within these Stages get special bonuses. A temporary token, the APPX WARRANT, will be sent to every participant on the first day of Stage 3, when the ITO has reached its minimum goal of $1Million USD. All Master token APPX coins will be tradeable exactly one year from the conclusion of the ITO, upon when participants can convert temporary tokens to the official Master tokens. See this Investment Platform with Bank level security, great company.